Yesterday, dated Nov 20, 2011 was commemorated as “World Day of Remembrance for Road Traffic Victims” all around the world and some 5 days ago the Foton Bus Company (FBC) launched operations in Lahore (on Tuesday), introducing a fleet of 56 new imported CNG buses on three routes. Chief Minister Shahbaz Sharif rode on the bus from his residence to the secretariat after the inaugural ceremony in Model Town, which he attended along with Lahore Transport Company (LTC) Chairman Khawaja Ahmad Hassaan and FBC vice president Zong Chris Jones. LTC officials said that another 55 Foton buses would hit the roads before the end of the year. What is new in these buses? As per law, wearing seat belt (for driver) is mandatory. I have seen myself (did not have a close look though but sure it was buckled up) the drivers wearing seat belts. Although the separate compartments are there in other buses running on roads but the difference in these buses is that despite installation of grills there is door which is kept locked so even it is gets overcrowded no men can go into ladies compartment. Around 6kg multi purpose fire extinguisher is installed in the bus which I have never seen before in any local or long route bus in Pakistan (I can’t claim this for Baluchistan as I have never visited it). I wish they put one page instructions anywhere in their bus so passenger know how to use it in case of emergency. Yes, emergency exit door in the buses running in Pakistan! You might have seen this in Daewoo buses as well but not in all. So in case of emergency passengers can use this door to evacuate BUT this door is exactly in opposite direction of normal door. Yes! Fire blanket is also fixed in these buses and I do hope they educate passengers of its use too by placing some cards on windows or announcing in initial one or two months about new safety features so majority of passengers know it. I don’t know they have selected lumbar supported seats intentionally or not but this one is the 2nd thing I noticed first (after fire extinguisher) and rate is one of the best feature of these new buses. Unfortunately majority of our public is not educated about the depth of back problems and future health concerns because of backache but now there should be less worries for those who travels in these buses. I am not sure about its available in bus. I will update you on its availability or nonavailability in a short time. The walking surface has grooves to avoid any slip and increase the grip while walking/standing. I hope we understand the safety features provided in these buses, learn their use and respect them (don’t misuse). 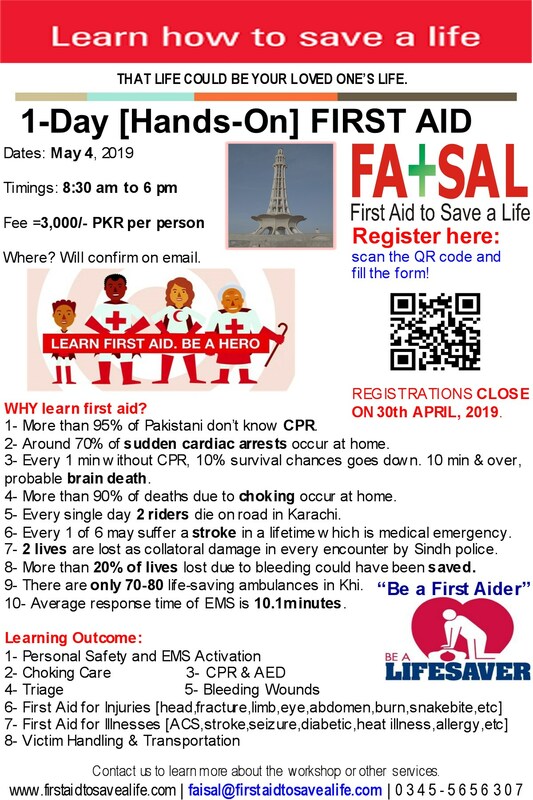 This entry was posted in First Aid CPR and AED and tagged chines bus service launched in punjab by government of punjab, cpr trainings, cpr trainings in lahore, emergency exit doors in new buses, emergency first aid skills and World Day of Remembrance for Road Traffic Victims, FBC, fire blankets, fire extinguishers in buses, first aid kits in new buses launched in lahore, first aid training courses in lahore, first aid trainings in lahore, How Pakistan commemmorated the World Day of Remembrance for Road Traffic Victims, Lahore transport company, lumbar supported seats, new bus service launced in lahore, new bus service launched by chief minister of punjab, road and travel safety, seat belts, separate compartments in new buses, surface grip, the foton bus company, training courses in lahore, World Day of Remembrance for Road Traffic Victims, World Day of Remembrance for Road Traffic Victims 2011, World Day of Remembrance for Road Traffic Victims in Pakistan. Bookmark the permalink.